Whether you’re looking for a gift for an amateur baker or seasoned professional, you’re sure to find the perfect gift from Morphy Richards! And better yet, we’ve gone and done all the hard work for you so all you have to do is choose your ideal gift, click & collect. brushed stainless steel, all with rose gold accents. 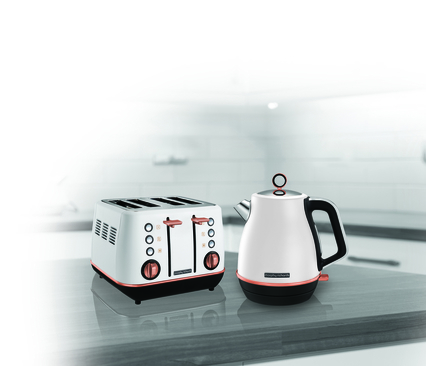 The jug kettle and four slice toaster provide a stunning finish to complement any kitchen. 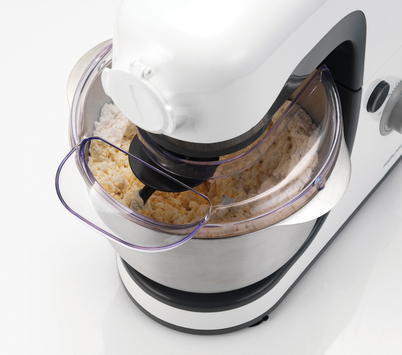 The Morphy Richards stand mixer combines uncompromising quality with a stylish design. Robust, versatile and easy to use, it also has the added benefit of being lightweight and easy to manoeuvre. The stand mixer comes complete with a large 4 litre mixing bowl, dough hook for homemade breads and pastries, beater for cake and cookie mixtures and a whisk for meringues and icing. 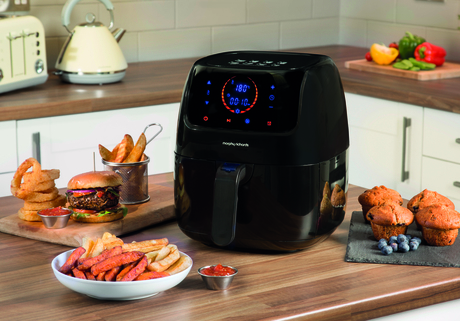 The Morphy Richards Health Fryer requires a substantially smaller amount of oil than a conventional fryer, making it a healthy option to fry, bake, roast and grill a variety of great tasting foods. Not only is the fryer easy to use, but it also features a number of safety features, such as a cool-touch detachable handle, which means that it’s safe to handle at any time during the cooking process. It also shuts off after an allocated time, whether that’s manually or as one of the pre-program settings, so you can be safe in the knowledge that it won’t stay switched on if left for too long. The fuss-free way to make delicious soup, just the way you like it. In as little as 21 minutes, you can be sitting down with a bowl of fresh, homemade and nutritious soup. The easy to use control panel features an LED countdown display that shows exactly how long your soup has left to cook while you just sit back and let your soup maker do the hard work for you. 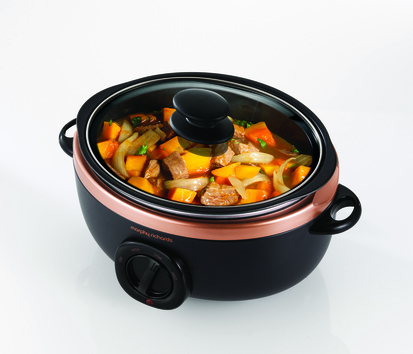 Slow cooking is one of the healthiest and most cost effective methods of cooking a meal for the whole family. The 3.5L Sear and Stew slow cooker allows you to create meals with the added benefit of being able to sear the meat in the same pan, plus the lightweight, non-stick coated pot is durable and dishwasher safe so cleaning up afterwards couldn’t be easier! NutriGo is ideal for creating quick, easy, nutritious drinks and smoothies on the go – simply load, blend and go! 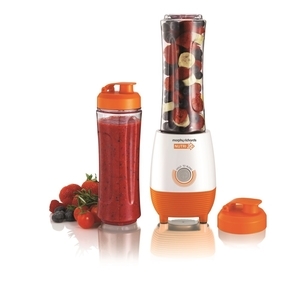 The powerful 300W motor blends smoothies, drinks and shakes to perfection, simply choose your ingredients and you can have a smoothie to go in seconds. NutriGo comes with two 300ml beakers that are lightweight, shatter-resistant and stain-resistant so you can use them again and again. 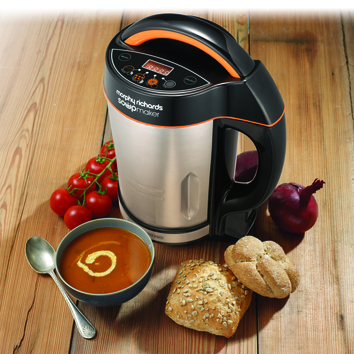 Click here to find your local Morphy Richards retailer today. On Shrove Tuesday, we eat pancakes!